Great Stuff from Our Listeners. At the end of each episode, we often include a feature called “Great Stuff from Our Listeners.” It’s the last portion of each episode, where Steve reads one of the comments from our listeners or readers. We enjoy hearing from you, and appreciate your advice, wisdom, and fly fishing experience. What do you love about summer fly fishing? When have you had the most success during the summer? What tips would you offer summer fly fishing warriors to improve their time on the water? To see every episode that we’ve published, click on “Every Episode” on the top navigation. For this episode, we are the Sponsor! 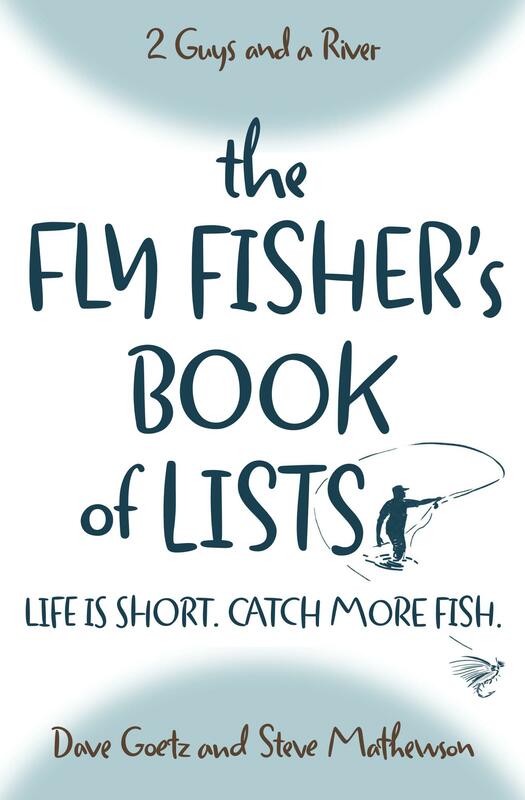 We’ve published a book called, The Fly Fisher’s Book of Lists: Life is short. Catch more fish. We like to say it is a book of bite-sized snacks. Maybe even like a handful of potato chips. It’s an entire book of lists. The goal is to help you find practical help quickly and in an easily digestible format! Visit Amazon to get your copy today!